"This administration continues down this road of job-killing regulatory policies," Rep. Bill Johnson, R-Ohio, told OSMRE Director Joe Pizarchik. "It is mind-boggling to me that you can't, number one, admit that and, number two, stop that." Replied Pizarchik, a former top Pennsylvania environmental regulator, "It's not a job-killing rulemaking." "He added that agency documents leaked earlier this year that showed the rule having a significant economic impact have 'no basis in fact'," Manuel Quinones reports for Environment & Energy News. Those documents "show state regulators' concerns about the preliminary documents prepared by a contractor hired by OSM to develop the rule's environmental impact statement." 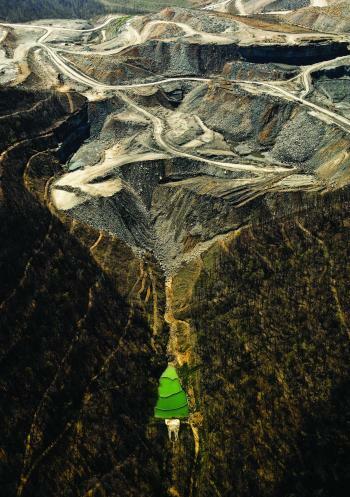 North Carolina, the nation's top gold producer in the early 1800's, has no commercial gold mines and requires no permits for recreational prospecting, Henderson reports. However, the popularity of suction dredging has many concerned. 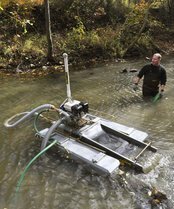 The Uwharrie National Forest, home to about a dozen old mining sites, banned suction dredging about five years ago and prohibits metal detectors to prevent damage to rare plants or historic sites. LandTrust for Central North Carolina, a group that owns 1,300 acres along the Uwharrie River, fenced its property last year to keep out prospectors. Of more concern to environmentalists is three firms' exploration of historic mining sites in the Slate Belt region, Henderson reports. If they disturb less than one acre no permit is required. California placed a moratorium on suction dredging in 2009 to protect spawning salmon, Henderson reports. Last week, the Federal Communications Commission announced a major revision of the Universal Service Fund that will shift billions from telephone subsidies into a new "Connect America Fund" that will expand broadband services to millions of rural Americans. Large telephone and Internet providers are praising the decision, but many small, rural providers are more cautious. They fear the cut in subsidies they rely on will have have a dramatic impact on their operations. Ross Boettcher of the Omaha World-Herald reports that the Great Disconnect, a lobby created by the Iowa Telecommunications Company Coalition, says "the changes will undercut their ability to afford investments in their infrastructure and cost their customers more in the long run." The CEO of Western Iowa Networks, a rural telecom provider, told Boettcher the company's revenue comes from three places: customer charges, compensation from other carriers and subsidies from the Universal Service Fund. Rep. Lee Terry, vice chairman of the House Energy and Commerce Committee's subcommittee on Communications, Technology and the Internet, who was key in early plans to change the Universal Service Fund, told Boettcher that changes in the subsidies would hurt rural providers: "We knew USF was going to be flattened, capped and reduced, but what the providers weren't counting on was another third of their revenue stream being phased out." Sheila Navis, executive director of the Rural Iowa Independent Telephone Association, said the burden to pay for broadband infrastructure expansion will fall on consumers. Thirty-two states have failed to abide by a 1978 law that requires Native American foster children to be placed with their relatives or tribes, according to a National Public Radio investigation. This makes the number of Native American children in foster care significantly disproportional to the number in the general population. Click here to see the disproportionality index for different states. South Dakota Native Americans see nearly 700 children removed annually, many under subjective circumstances, and placed in non-native homes or group homes. The reason, Laura Sullivan and Amy Walters of NPR report, may be money. The state receives thousands of dollars for every child removed, with Native American children sometimes bringing more. Some Vermont, New Hampshire and Massachusetts farmers have joined in the Occupy Wall Street movement by donating fruits and vegetables to protestors in New York. Originally, farmers made individual deliveries and donations to protestors, but as the number of participating farmers has grown, so has their mission. Now, in addition to providing food to protestors, they are trying to raise awareness of issues affecting small farmers, Jennifer Hus of WNYC Radio reports. The farmers are donating their produce despite their own hardships, but through the creation of a website they are hoping to raise awareness of their efforts and generate financial and other support. (Read more) To view video, click here. Only two months after the announcement that drug overdose deaths now outnumber traffic fatalities nationwide, the Centers for Disease Control and Prevention revealed this week in Morbidity and Mortality Weekly Report that deaths from prescription-drug overdoses now outnumber the combined total of heroin and cocaine overdose deaths. Brown reports that sales of the drugs increased with death rates. She writes: "In 2010, 4.8 percent of Americans 12 years or older used opioid pain relievers nonmedically - that is, without a prescription or purely for the feeling the drug causes. The report calculated that by 2010, 'enough opioid pain relievers were sold to medicate every American adult with a typical dose of 5 mg of hydrocodone every four hours one month.'" UPDATE, Nov. 14: Some states track prescriptions of controlled substances by county, and the data can make for good stories and graphics, as the Lexington Herald-Leader showed with this story on Kentucky's prescription-pill epidemic. "One pot" meth labs, in which the drug is cooked in a two-liter pop bottle, are increasing at the same time many police departments across the country are shrinking, reports Ana Campoy of The Wall Street Journal. The method has all but replaced kitchen-size labs because ingredients can easily be attained and mixed almost anywhere, and that makes perpetrators hard to find and stop. Campoy reports that so much police time is spent trying to stop the manufacturing of meth, other larger illegal drug activity like global cartels, cocaine and heroin are ignored. Police in Tulsa have busted 15 percent more meth-lab busts this year than last year, while the department cut 70 officers. In Vanderburgh County and Evansville, Ind., the meth case load has grown so much, police designated three investigators out of their 20-member narcotics task force to deal with it full-time. Coal-burning power plants may yet be the energy of the future, thanks to a carbon-dioxide-devouring algae. The University of Kentucky, the Kentucky Energy and Environment Cabinet and East Kentucky Power Cooperative are partnering to further investigate the use of algae to capture carbon dioxide from coal-fired plants and converting it to biomass, the university said in a release. The algae digest carbon dioxide and light in a process similar to photosynthesis in plants. (Read more) Once the algae has consumed the carbon dioxide, the by-product can be used to produce biodiesel, animal feed, fertilizer and chemicals. To view an explanatory video, click here. The state agency committed nearly $1.3 million, the utility is contributing about $75,000 in in-kind and the university is providing $543,663. The research will be done by UK's Center for Applied Energy Research. The computer model used by the Environmental Protection Agency to monitor nutrient and sediment pollution flowing into the Chesapeake Bay may be flawed, say some farm groups and federal and state officials. Agri-Pulse reports that recent runs of the model show farmers in Maryland with high concentration of poultry production are meeting total maximum daily loads (TMDL) of pollutants allowed in the Bay and its tributaries, but farmers in neighboring counties with crop, forest and pasture land can't meet standards "even if they do every best management practice imaginable." Officials from Pennsylvania and Virginia wrote letters to their EPA regional administrator, Shawn Garvin, and expressed concern with new TMDL standards. They said that in most cases, "the new model shows that best management plans, designed to reduce runoff of fertilizer, increase nitrogen and phosphorus pollution instead of reducing it." The Virginia secretary for natural resources wrote: "We have found the model, as currently constructed, is not appropriate for use in assigning loads in permits, developing local load targets, or measuring reduction progress. It is especially not appropriate for imposing consequences." They attempted to reveal discrepancies in the model during a modeling summit in September. In Middle Tennessee's Sumner and Wilson counties, where the American Civil Liberties Union won church-and-state separation lawsuits that ended parent prayer groups and Gideons International Bible distribution, thousands of students and parents gathered to pray this year during "See You at the Pole" events, which call for student-led prayer around school flag poles, are prevalent in rural areas. Matt Anderson and Jennifer Easton of The Tennessean report that teachers attended the events, but their participation could only extend so far before being in violation of the First Amendment. Anderson and Easton report that in Wilson County, such events must be student-led, but teachers can participate in everything except prayer. In Sumner County, employees were told "that if they choose to pray on campus, it must be done out of sight and earshot of students." Hedy Weinberg, executive director of ACLU of Tennessee, said in a statement that See You at the Pole events are constitutional so long as they are student-initiated and student-led. "In many rural places, Social Security is a very critical element of the local economic base," Peter Nelson, a geographer at Middlebury College in Vermont, told the Yonder. 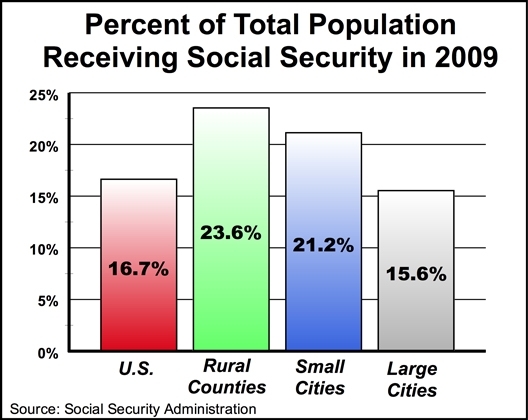 In counties with cities under 50,000 population, Social Security accounted for 8.2 percent of total personal income, Bishop and Gallardo report. Last month, voters in the remote hills of the Lake and Peninsula Borough in Alaska cast ballots to determine whether a proposed metals-mining project would proceed. By a vote of only 280-246, residents were able to "ban large-scale resource extraction," including mining for gold and copper, "that would destroy or degrade salmon habitat," The Associated Press reports. The legality of the vote is being questioned by the state of Alaska, which filed a lawsuit last Friday to invalidate the vote. Lobbying by weekly and small-daily newspapers and others is on the verge of pushing back the U.S. Postal Service's plan to end Saturday mail delivery. "We have had a tremendous breakthrough on preserving Saturday mail delivery," Tonda Rush, chief executive and lobbyist for the National Newspaper Association, said in an email this afternoon. She said a bipartisan bill "will require USPS to carry out significant cost cutting steps and seek new review by both the Government Accountability Office and the Postal Regulatory Commission before it can again seek to move to 5 day" delivery, a step that seemed closer after President Obama and House Republicans largely agreed on it. The bill would prohibit USPS from taking any steps to eliminate Saturday delivery for two years. "In that time, we hope the other cost-cutting measures are sufficient to avoid ever taking this step," Rush said. The bill is to be introduced today by Sens. Joe Lieberman, I-Conn.; Susan Collins, R-Maine; Tom Carper, R-Del. ; and Sherrod Brown, D-Ohio. "We have miles to go before this becomes law," Rush said, "but we are moving quickly now to help get this bill passed." The NNA website is here. For a summary of the bill, click here. 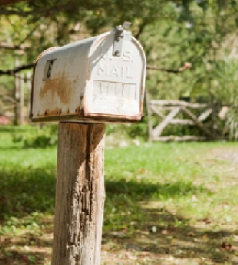 The undersigned, the director of the Institute for Rural Journalism and Community Issues, testified before the Postal Regulatory Commission last year on behalf of NNA, arguing that an end to Saturday delivery would have a disproportionate impact in rural America. The PRC essentially adopted that position, saying more study on rural impact was needed before Saturday delivery is eliminated. The U.S. Postal Service "has determined that its plan to replace money-losing offices with retailers contracted to offer basic services will not work in many rural communities," Reuters reports. "It is now looking at ways to operate some rural post offices more cheaply rather than closing them." "When you get west of the Mississippi, it's more prevalent that you don't have stores in these communities, you have nothing in these communities. 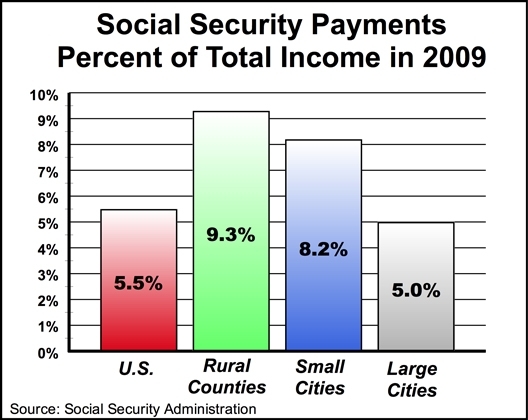 It's pretty much just the post office," Postmaster General Patrick Donahoe told the news service. USPS has abandoned its hope to have 2,000 "village post offices" within retail establishments; at this point it has only six, Reuters reports. "They are discovering that in these rural areas they've identified there aren't necessarily other businesses that would take on the rural post office," said Ruth Goldway, chairman of the Postal Regulatory Commission, which advises Congress about USPS. "Donahoe said USPS still plans to close post offices where residents can access another post office or where rural letter carriers -- who can sell stamps, pick up packages and offer other services -- could make up the service," Reuters reports. The Environmental Protection Agency is moving forward with plans to require new permits for application of agricultural pesticides near water, after opponents of the plan failed to win Senate approval of a two-year moratorium or repeal of the regulation that many call "costly and duplicative," reports Agri-Pulse, a Washington-based newsletter. Pesticide use is already regulated by federal law and the National Pollutant Discharge Elimination System, but the new permitting rules come after the 2009 6th Circuit Court of Appeal ruling in National Cotton Council vs. EPA that pesticide discharge is "a point source of pollution subject to additional regulation under the Clean Water Act, necessitating NPDES permits for each application near water bodies." EPA estimates that the ruling and its resulting plan will affect about 365,000 pesticide users each year. Agri-Pulse reports that crop-protection trade group CropLife America says a general permitting process for pesticide applicators has long been used by the EPA under the Clean Water Act, but "Congress never intended non-point sources of contaminants to be similarly regulated, and exempted agricultural storm water runoff and irrigation return flows from the CWA’s permitting program." The House and the Senate agriculture committees approved bills clarify that, but the legislation stalled in the full Senate because of multiple holds by individual members and supporters' failure to attach it to other legislation. House Agriculture Committee Chairman Frank Lucas, R-Okla., told Agri-Pulse, "Because pesticide applications are already regulated, this new requirement won’t provide any additional environmental benefits. All it will do is impose substantial new costs that slows down economic activity and hurts job growth at a time when we can ill afford to do so.” EPA announced that pesticide applicators covered under general permits won't have to submit a notice of intent for any discharges before Jan. 12, 2012. CropLife president Jay Vroom told Agri-Pulse that pesticide users remain vulnerable to lawsuits by citizens. Agri-Pulse is subscription-only, but offers four-week free trials on its website. Children in rural areas face more health challenges than those in urban parts of the country, and are more likely to be poor, more vulnerable to death from injuries, and more likely to use tobacco. 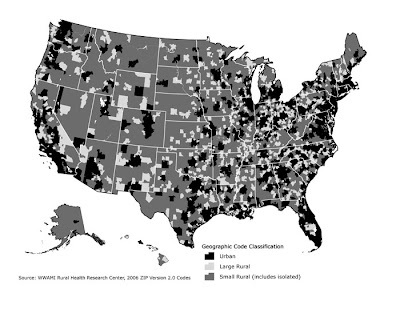 Rural families also have more difficulty in gaining access to health care. But the majority of parents, regardless of whether they live in urban or rural communities, say their kids are healthy. These findings are from a report entitled "The Health and Well-Being of Children in Rural Areas: A Portrait of the Nation 2007," compiled by the U.S. Department of Health and Human Services' Health Resources and Services Administration. The report's results are based on the National Survey of Children's Health, conducted in 2007. The survey classified children as living in an urban area, a large or well-populated rural area or a small or isolated rural area. 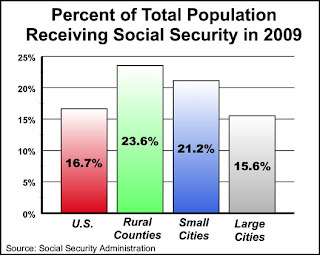 Large rural areas include large towns with populations of 10,000 to 49,999. 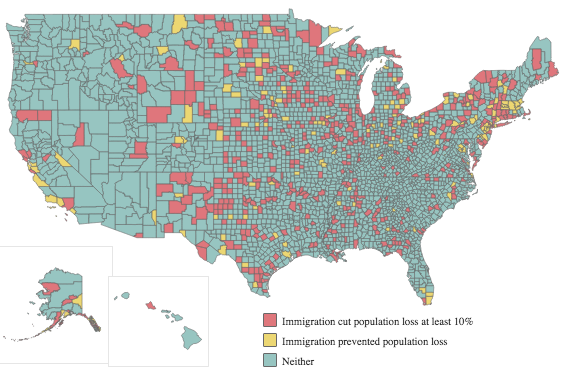 Small rural areas include small towns with populations of 2,500 to 9,999. Survey results were not broken down by state. The report found children's overall health status doesn't vary much by location. Four-fifths of parents said their children are in excellent or very good health, regardless of where they live. But the analysis found rural children, as a whole, face more health risks than their urban counterparts. Only 67.6 percent of children in large rural areas and 69.8 percent in small rural areas are breast-fed, compared to 77 percent of urban children. Rural children are also more likely to be overweight or obese — 34.6 percent of children in large rural areas and 35.2 percent in small rural areas compared to 30.9 percent of urban children. Rural children are also more likely to live with someone who smokes — one in three children in large rural areas and 35 percent in small rural areas do. Only one in five urban children do. Though about 90 percent of children surveyed had health insurance, those in rural areas were more likely to have public coverage like Medicaid or CHIP. Urban children were more likely to have private insurance. Access to health care also remains a factor. Of the 2,052 non-metropolitan counties identified in 2010, 704 were designated as health professional shortage areas. Of those, 467 had shortages for dental care and 521 lacked adequate mental health services. There are some advantages for rural children, however. They tend to be better protected and more connected to their families and communities. More than half of children in small rural areas shared a meal with their families every day in the past week. Children in small rural areas are also more likely to get physical activity every day (34.7 percent), though they are less likely to have access to community centers, parks or playgrounds. However, rural children are more likely to spend more than an hour each weekday watching television or videos — 60.9 percent of children in large rural areas did so, compared to 53 percent in small rural areas and 53.9 percent of urban children. In an effort to increase viability of geothermal energy as a reliable source of renewable and clean energy, Google is providing researchers at Southern Methodist University with funding to map the United States' geothermal potential. The maps, which are available on Google Earth, reveal that 3 million megawatts of energy, 10 times the amount from coal, could be produced through geothermal. Researcher David Blackwell told Energy and Environment News' Julia Pyper that the capabilities to grow geothermal energy sustainably will only improve as energy conservation and exploitation factors are further explored. Geothermal relies on hot water found in reservoirs deep in the earth's crust along fault lines (mostly in the West) to produce steam that turns turbines and produces energy. After the water is used, it's returned into the earth and reused. The Department of Energy says this method emits little or no greenhouse gases. Pyper reports that geothermal is "one of the most underused sources of homegrown clean energy," saying the U.S. uses only about 2,800 megawatts to power 2.8 million homes. More than 330 unemployed Americans have signed up for seasonal agricultural jobs in Alabama as a part of Gov. Robert Bentley's plan to connect job seekers to struggling farmers following implementation of Alabama's strict new immigration laws, Stephen Clark of Fox News reports. But many are still waiting for jobs, since only three agricultural employers are participating in the program and most of their openings don't start until January. Many local farmers are hesitant to participate for fear most Americans cannot meet the physical demands of farming. Sweet-potato farmer Kevin Smith of Cullman, Ala., has not had a shortage of people interested in filling the positions, with 10 or more calls per day, but he says most quit after only a few hours because the labor is so intense, Kim Chandler of The Birmingham News reports. Tom Surtees, director of the state Department of Industrial Relations, says farmers should give the jobs program a chance. "Americans can do the work and need the opportunity to try," he told Fox. The U.S. Supreme Court will hear arguments next week over the proper treatment of "non-ambulatory pigs," or those that can't walk or stand on their own, at slaughterhouses in California after the National Meat Association sued the state government on behalf of the pork industry. The three-year-old law requires pigs that can't walk when they arrive at slaughterhouses to be removed, inspected and humanely euthanized if necessary. Federal law already mandates inspection of pigs that are lying down, but they don't have to be removed from the slaughterhouse. David Savage of the Los Angeles Times reports that the meat lobby's lawyers say federal law supersedes state law and is more humane because it requires "inspections of sick animals rather than automatically killing them." The inspections, they say, are crucial in finding pig diseases like foot-and-mouth. Steven Wells, one of the lawyers, told Savage that pigs are sometimes stubborn, "stressed or fatigued" after the trip to the slaughterhouse, but they usually recover and are fine. California Deputy Attorney General Susan K. Smith sees it differently. She told Savage: "We're not concerned about a pig who is taking a nap." She said removing "non-ambulatory pigs" will protect the food supply and prevent animal cruelty. On the eve of what amounts to a new Farm Bill being submitted for a joint House-Senate vote, small-farm advocates are voicing concern about it being written behind closed doors by agriculture committee leaders and big lobbying interests. The committee staffs plan to submit a proposal tomorrow to the joint "super committee" charged with adopting a plan to cut the federal deficit. Amanda Peterka of Energy and Environment News reported last week that Democratic Rep. Earl Blumenauer of Oregon, allied with environmental groups and some right-leaning think tanks, said "submitting such a proposal without input from the agriculture panels or the whole Congress amounts to a 'secret' Farm Bill." He told Peterka that committee leaders are "replicating what got us into this deficit mess in the first place" and they are "not really looking at the big picture, not debating, not looking at the long-term consequences, not subjecting it to public scrutiny." Carolyn Lochhead of the San Francisco Chronicle wrote for the paper's political blog: "Leaders of the House and Senate agriculture committees are attempting a breathtaking end-run around the democratic process.They are hatching their own farm bill in private and plan by Nov. 1 take it to the new deficit super committee to be enacted whole, without votes in their own committees or in Congress." The current Farm Bill is up for revision in 2012, but a deficit-reduction plan would take precedence. Lochhead predicts states with diverse agriculture, like California, will be left out of the "secret" bill because it's being written by politicians from states that receive a lot of subsidies. Ken Cook wrote on the subsidy-skeptical Environmental Working Group's agriculture blog that the new farm bill to will likely only serve to "bankroll industrial-scale commodity farming." The new bill proposes cuts from $23 to $33 million that would likely eliminate mandated conservation programs and negatively effect several others, like those that support local and regional food systems. Jerry Hagstrom reports for AgWeek that Michigan Sen. Debbie Stabenow, chair of the Senate Agriculture Committee, told him in an email, “We are undertaking a monumental shift in federal farm policy — one that saves billions of taxpayer dollars by ending payments to farmers who don’t need them.” Read the overall story from Hagstrom, a veteran ag-policy reporter, here. Two bat species in the Mid-Atlantic states face within the next seven years, but some wildlife biologists are optimistic that with a known cause they may now be able to slow progression of the disease, Fears reports. The American Angus Association is releasing a documentary that celebrates the history and legacy of the Chicago Stockyards and the Chicago International livestock show, Drovers Cattle Network reports. The program will air on Halloween night at 7 p.m. CST on RFD-TV, channel 345 on DirecTV and 231 on Dish Network. Subsequent programs are scheduled for Nov. 21, Dec. 19 and Jan. 2 with two more programs airing sometime in February and March. (Read more) To watch the promo for tonight's program or view previous programs, click here. Agriculture and homebuilding industries recently filed a lawsuit against against EPA arguing the agency overstepped its legal authority. "Pollution-reduction targets are too ambitious and ill-timed," the industries argue, and the expensive mandates will overstrain farmers and homebuilders already struggling financially, Quinlan reports. Republican industry allies are attempting to block the EPA plan by attaching policy riders to spending bills. Since April 2010, the agency has found over 4,000 safety violations and temporary closed 427 mines. The industry dealt with the highest number of mining-related deaths in 40 years in 2010; this year, it's on track for record low injuries and deaths. As Main told the The Courier-Journal's Jim Carroll, the safety blitzes are "the best foundation for mine safety in this country." Main told the Louisville newspaper that the safety blitzes have become routine since last year and have allowed the agency to identify problem mines that "were not on the watch list" before the Upper Big Branch disaster. Mines with the worst safety records are being targeted, and while some of the operators understand the severity of the violations, some don't, Main said. He added that those who do understand are finding problems and fixing them before MSHA inspectors show up; those who leave safety problems unchecked could face closure until the problems are addressed. Carroll reports Main split up the MSHA district that oversaw Upper Big Branch because it was responsible for the largest number of mining operations in the country. The agency has been looking for patterns of violations since last year, and started a database accessible by the public that compares mine safety records to criteria that determines "pattern of violations" designations. If a mine is assigned this designation, and the problems aren't addressed, it could be closed. MSHA is working on new pattern-of-violation rules that would stop the practice of sending warning letters to operators which allowed them to skirt inspections in the past. The agency is also trying to streamline appeals of citations, which used to allow operators to avoid the designation because the process was so lengthy. 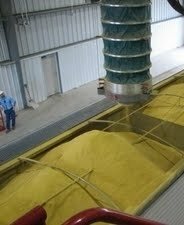 MSHA is also proposing simplified safety standards that would allow inspectors to quickly target problem mines and is holding public hearings to discuss installation of shut-off and warning devices on continuous-mining machines, which have caused the most common underground mining accidents in recent decades: crushing deaths and injuries. Main has championed stricter coal-dust rules that will require miners to carry dust monitors displaying dangerous levels of dust. National Mining Association spokeswoman Carol Raulston told Carroll the industry has opposed this rule based on an analysis commissioned by the association. She said "data to support health improvements based on the levels MSHA has proposed" does not exist. Despite the announcement that the new rule will go into effect in April, the industry has requested MSHA withdraw it and draft a new one.